Left: Mary Acanit, Librarian from Uganda. Right: Alice Matimba, Researcher from Zimbabwe. The Research4Life/INASP Advocacy Competition has received inspiring stories from researchers and librarians around the world. More than 150 applicants have shown that it is possible to advocate for improved evidence based health care, agriculture and environmental policies as well as basic research in their countries. 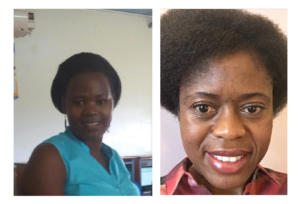 After an active deliberation process by a panel of selected judges including information experts, and leaders in the field of research information, we have selected two winners for the competition, Mary Acanit from Uganda and Alice Matimba from Zimbabwe. They will be joining us next year in Oxford at the Research4Life General Partners Meeting and the Publishers for Development conference. Both winners will receive a travel grant thanks to the support of our partners Elsevier, INASP and SAGE and a £100 book voucher from Taylor&Francis. 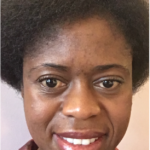 We have also awarded a honourable mention to Dinah Baidoo from Ghana, who will receive a year subscription to a reference collection from SAGE. We congratulate all the participants for their incredible work and efforts to support the research environment in their institutions. 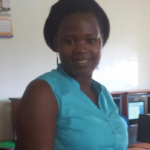 As an Assistant Librarian In charge at Kyambogo University Library in Uganda, Mary coordinates all ICT-related activities in the library. She organizes information literacy trainings and workshops and trains library staff on new and emerging technologies so that they are aware of new developments in the library profession. A Senior Lecturer in pharmacology and genomics at the University of Zimbabwe, her research focuses in human genomics, pharmacogenomics, biobanking and ethics. Alice is an advocate for improved health and well-being. She is currently a Principal Investigator at the Zimbabwe Diabetic Foot Project and the Zimbabwe Diabetic Retinopathy Telemedicine Project, which aim to provide screening education and for the prevention of diabetes. An assistant librarian at Ashesi University College in Berekuso, Ghana; Dinah has represented her library in many meetings, seminars, congresses and conferences locally and internationally. She organizes and train users for effective use of the library eResources. 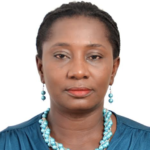 Dinah is also a sub-committee member for INASP/CARLIGH for advocacy/marketing of eResources.